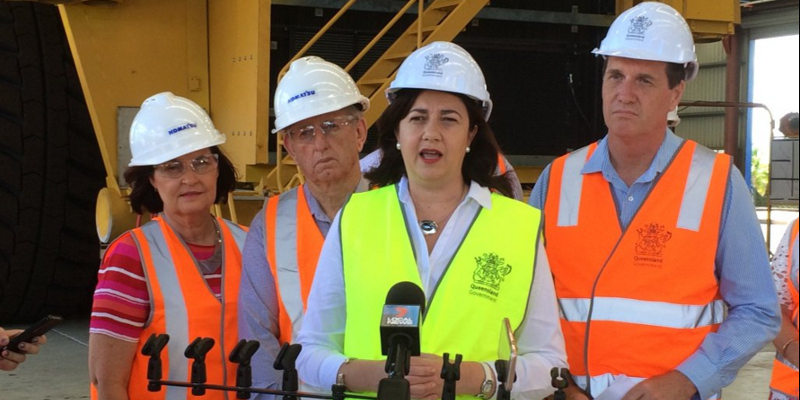 This Sunday morning (3 April) the Queensland Mines Minister Anthony Lynham and Queensland Premier Annastacia Palaszczuk issued a joint statement for approval of mine leases for the Carmichael coal mine and rail project in Queensland’s Galilee Basin. Their statement was widely condemned by environment, climate and indigenous organisations. The mine lease approval comes on the tail of the worst coral bleaching event on record for the Great Barrier Reef. Researchers found that 95 per cent of the northern 1000 km of the reef system up to Torres Strait was badly bleached. We know this is a direct consequence of climate change. There is no record of extreme coral bleaching events before 1998. See the ABC 7.30 Report on the extreme bleaching event caused by climate change, or read Graham Readfearn writing in the Guardian newspaper on the Link between fossil fuels and Great Barrier Reef bleaching clear and incontrovertible. The coal mine by Indian company Adani, if it goes ahead, will be the largest open cut coal mine in the southern hemisphere, with the three mining leases estimated to contain 11 billion tonnes of thermal coal, with a mine production capacity aiming for 60 million tonnes of coal every year. The government statement says the project is worth $21.7 billion, although Adani’s own estimate is $16.5 billion, according to Mark Ludlow from the Australian Financial Review. The development entails building a 300 kilometre rail line from the Galilee Basin to the Abbot Point coal terminal. The port facilities at Abbot Point would also require expansion including dredging of the harbour. Dr Lynham said there no dredging would proceed at Abbot Point until Adani demonstrates financial closure. The statement also exaggerates the number of jobs that will be created, and even the Queensland Treasurer Curtis Pitt concedes this, according to the Australia Institute media release. “We have protected the Caley Valley wetlands and the Great Barrier Reef by not allowing dredge spoil to be dumped on the wetlands or in the Great Barrier Reef World Heritage Area,” said Palaszczuk. The approval process at both the Federal and state levels have attached 140 conditions to the mine to protect fauna and flora, groundwater and surface water resources. A further 99 conditions apply to the rail construction and port expansion of the project. 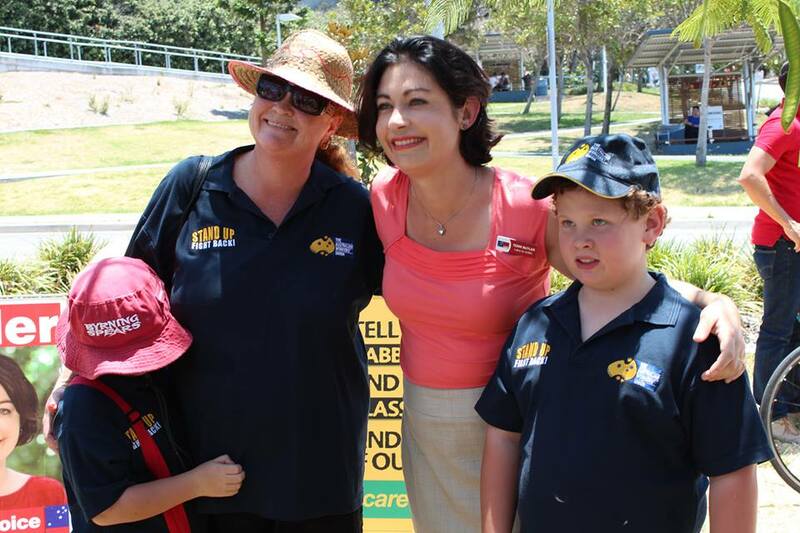 The state Labor Government also promised that Queensland taxpayers will not fund the infrastructure for the mine. Adani CEO Jeyakumar Janakaraj said he wants construction on the Carmichael Mine to start in 2017 according, to ABC News Brisbane, and assured that they had the required funding for the project to proceed. But it is questionable whether initial capital is available. French banks withdrew interest in April 2015. Adani and the Commonwealth Bank parted ways in August 2015. In September the NAB ruled out funding Adani. At current coal prices the development of the mine is uneconomic, with the fall of coal prices being assessed as a structural decline. The Australasia Director of Finance Studies at the Institute of Energy Economics and Financial Analysis, Tim Buckley, has stated that Adani lacks major bank finance, but the project requires at least $10 billion to get it off the ground. So Adani CEO Jeyakumar Janakaraj said much of the workforce will be FIFO workers. This means limiting local flow-on benefits tp any local community from the project. There is also a substantial increase in the heat health risk of workers due to extreme heat acclimatization issues, particularly in summer months. The decision was met with a quick reaction. According to ABC Brisbane journalist Jessica van Vonderen on @ABCNewsBrisbane via twitter, the Mackay Conservation Group awarded the Premier (@AnnastaciaMP) the “Coral bleaching trophy” for issuing mining lease to Adani. “It is grossly irresponsible of the Palaszczuk government to issue the paperwork for the Carmichael coal mine, which will create millions of tonnes of climate pollution for many decades to come, when we can see the Great Barrier Reef is already being savaged by climate change,” said the Australian Conservation Foundation’s CEO Kelly O’Shanassy. “By granting a licence for this massive coal mine the Palaszczuk government is bowing to the demands of big polluters, not listening to the needs of the people.” said O’Shanassy in a statement. 350 Australia were equally angy with the decision in a media statement. “As global temperatures hit terrifying levels and the Reef turns a deathly white, the absurdity of Anastacia Paluszczuk’s Government approving this monstrous coal project cannot be understated, said Moira Williams, campaigner with 350 Australia. “Queenslanders are sick and tired of their Government putting the Reef and our future second to the mining industry. The Paluszczuk Government was elected on a mandate to protect the Reef. Instead, they are giving the coal industry a leg-up to trash it. This has got to stop,” said Williams. “We know that the mining and burning of coal is destroying the Reef and we know that we must keep fossil fuels in the ground if we want to avoid dangerous global warming. Yet, the Queensland and Federal Government are intent on giving the coal industry everything they need to dig more coal out of the ground and wreck our precious Reef, said Kirsty Albion National Director of the Australian Youth Climate Coalition. There has been a lot of bluster and marketing about innovation with the Federal Government allocating $28 million on an innovation marketing campaign while the 2014 budget cuts to CSIRO results in the loss of 350 science staff, many in critical climate research areas. “If the Federal and Queensland Governments are serious about building an innovative 21st century economy that creates jobs and protects our climate, they can’t keep allowing the digging up of great wads of dirty coal for export through the Great Barrier Reef. It’s time for the Queensland and Federal Governments to stop pandering to the big polluters and to do what it takes to ensure a safe and sustainable future for our Reef and our climate,” concluded Albion. “Protecting the reef and approving the Carmichael mining lease are diametrically opposed. You cannot do both.” said Shani Tager, Greenpeace Australia Pacific’s Reef Campaigner in a media statement. “The Queensland Government are supposed to be taking care of our Reef, instead they’re giving coal companies the green light to keep mining and burning coal that is driving climate change and bleaching our Reef,” said Ms Tager. In a strongly worded and wide ranging statement the Queenslamd Conservation Council attacked the Labor Government. “Today the reef, climate and the Queensland environment lose out to big coal. This announcement opens the door for nine other coal mining projects in the Galilee Basin”, said QCC climate campaigner Kirsten Macey. As well as threatening the reef, the coal mine will also reduce habitat for a number of threatened species. “The threatened Black-throated Finch’s habitat will be destroyed by this thoughtless and unnecessary mine.” said Macey. “If we are serious about addressing global warming – we cannot burn the coal extracted from the Carmichael Mine – we need to keep it in the ground”, Ms Macey concluded. The research has been done already. 95 per cent of Australian coal needs to remain unburnt in the ground if we are to have any chance of limiting warming to below the 2C temperature target enshrined in the Paris Agreement. In January 2015 I wrote an article about the McGlade and Ekins (2015) study. It is worth reading: 88 percent of Global Fossil Fuel reserves need to remain unburned – Implications for Queensland. There is simply no room for any new coal mine, and particularly opening up a new region like the Galilee Basin. It is incompatible with a safe climate. There are also implications here for Federal Labor both in traction on climate change and for the progressive vote. QLD Labor approving Adani coal mine will deliver even more progressive votes from ALP to the Greens at July 2 double dissolution election. 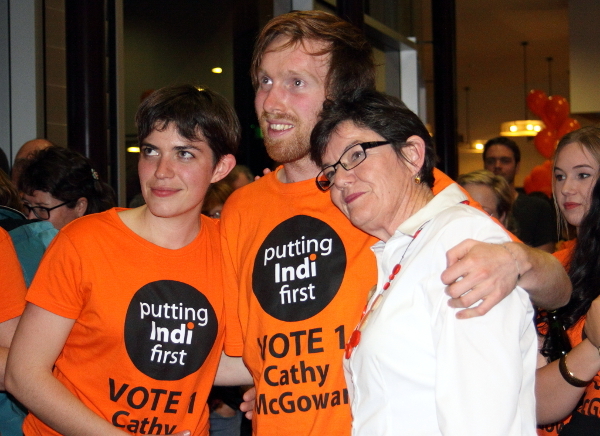 Adani have also played the political game making substantial donations to both Liberal and Labor parties. “For the third time, on 19 March this year, the W&J claim group met en masse and voted down the prospect of an indigenous land use agreement with Adani. We said it again, and we said it loud and clear: Wangan and Jagalingou do not consent to this mine and we never will.” said Mr Burragubba in a statement. An online petition on the Community Run website by Mr Burragubba has raised more than 100,000 signatures in support over the last year. 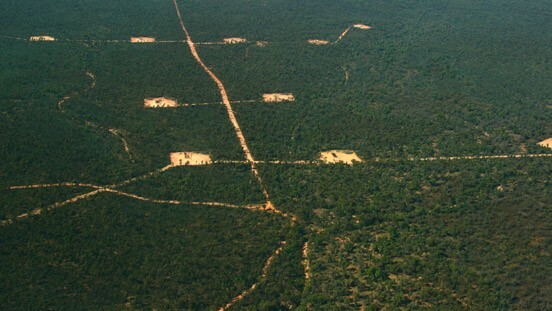 The project’s Federal approval is still under challenge by Australian Conservation Foundation (ACF) in the Federal Court, represented by the Environmental Defenders office (EDO Qld). “Queensland Mining Minister Lynham’s decision is disappointing given the increased environmental risks and dramatically reduced economic benefits from the mine uncovered during last year’s Land Court hearing”, said the EDO Qld media statement. Solicitor Jo-Anne Bragg highlighted the mass coral bleaching event caused by climate change and the disjuncture with approving the mine leases. “We know Australian coal burnt overseas is a significant contributor to coral bleaching of the Great Barrier Reef, so how can the State Government claim it is protecting the Great Barrier Reef and associated tourism and other jobs on one hand and do this with the other?” Bragg asks. The case is expected to be heard in early May and will focus on whether the Federal Environment Minister had sufficient regard to the protection of the Great Barrier Reef required by international convention. Benedict Coyne of law firm Boe Williams Anderson, who are acting for Mr Burragubba and the Wangan and Jagalingou people, said: “The granting of these leases by the Minister is a concern given that there is a judicial review proceeding for a related matter pending before the Federal Court of Australia. It is curious as to why the Minister was unable to wait for the proper legal processes to be concluded. We will be seeking a statement of reasons for the decision from the Minister and from there we will consider our client’s legal options”. Updated: Added reference to large FIFO workforce statement and heat health risk this entails. Reference to Adani political donations. Add Link to Community Run Petition with over 100,000 signatures. Add details from Queensland Conservation statement.